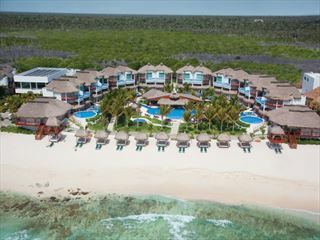 An indulgent adult-only resort in Cancun, Sun Palace looks out onto crystalline waters and soft sandy shores – the perfect beach escape. Retreat to this sublime haven and embark on the holiday of a lifetime, filled with gourmet meals, chic accommodation, fantastic facilities and idyllic surroundings. 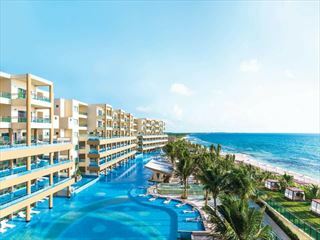 Sun Palace is located in Cancun, overlooking the tranquil waters of the Caribbean Sea. 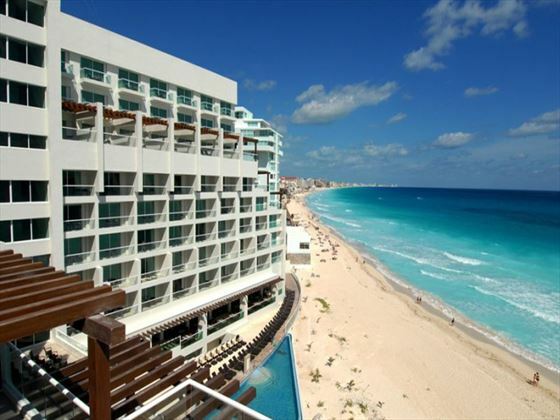 Half an hour from downtown Cancun, you'll be within easy reach of the main attractions. There is a scheduled bus service between Wet n' Wild as well as Moon Palace Golf Resort & Spa. 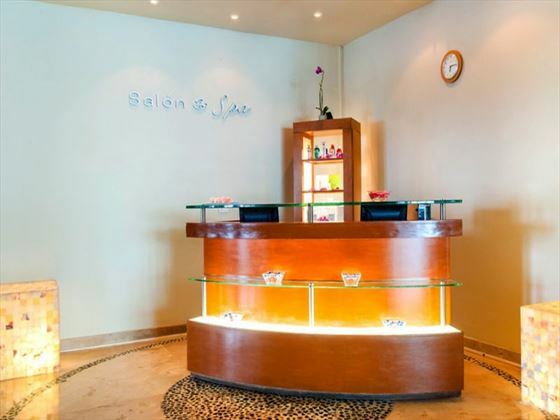 The resort provides 261 contemporary rooms and suites, each with its own balcony. 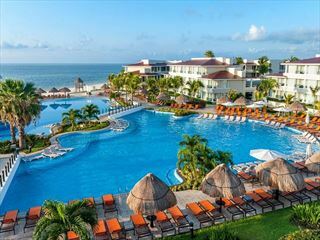 Deluxe Resort View – These rooms feature beautiful views of the resort grounds. 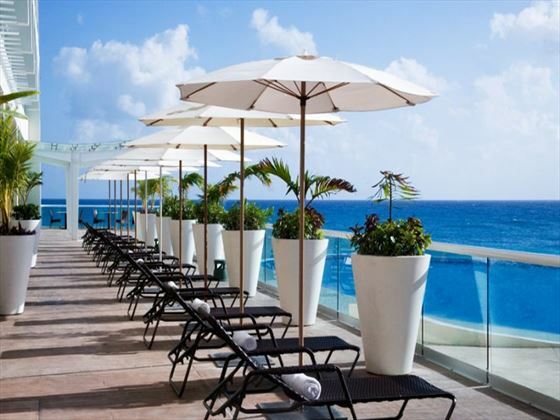 Superior Deluxe Ocean View – Offering views of the Caribbean Sea, these rooms are spacious and stylish. 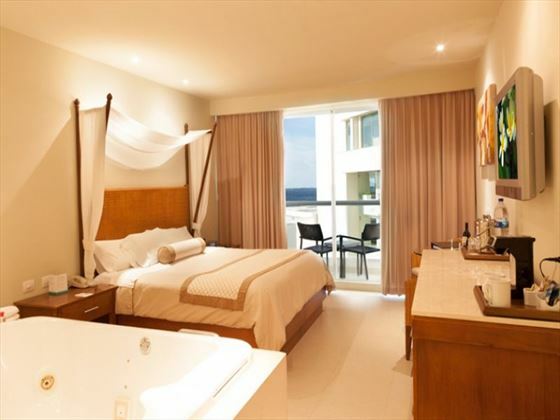 Junior Suite Ocean View – Also offering ocean views, these suites are slightly larger than the Superior Deluxe rooms. Concierge Level – In addition to the above amenities, these suites feature a variety of great amenities including a seating area, aromatherapy menu, DVD player, two 25 minute massages, upgraded liquors, pillow menu, private candlelit dinner at selected locations (one per stay), private beach lounge area with waiter service, exclusive concierge phone service and nightly petit fours with your turndown service. One-Bedroom Presidential Suite – This suite is the largest and most decadent suite, with a living room, dining area, double whirlpool on the balcony and gorgeous views of Nichupte Lagoon or the Caribbean Sea. All rooms feature king-sized beds and accommodate two adults. 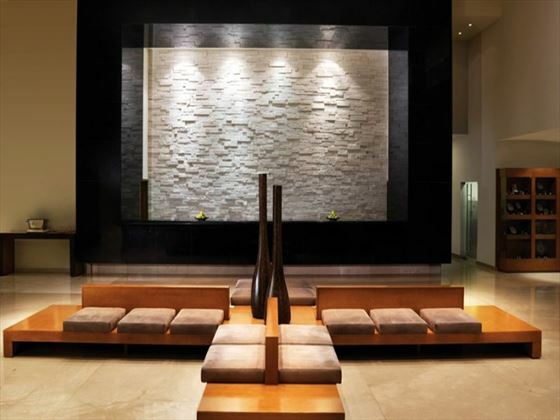 There is also a pool snack bar, lobby bar and wet bar.